Don’t lose your cool, Don’t take it personally. Confront. 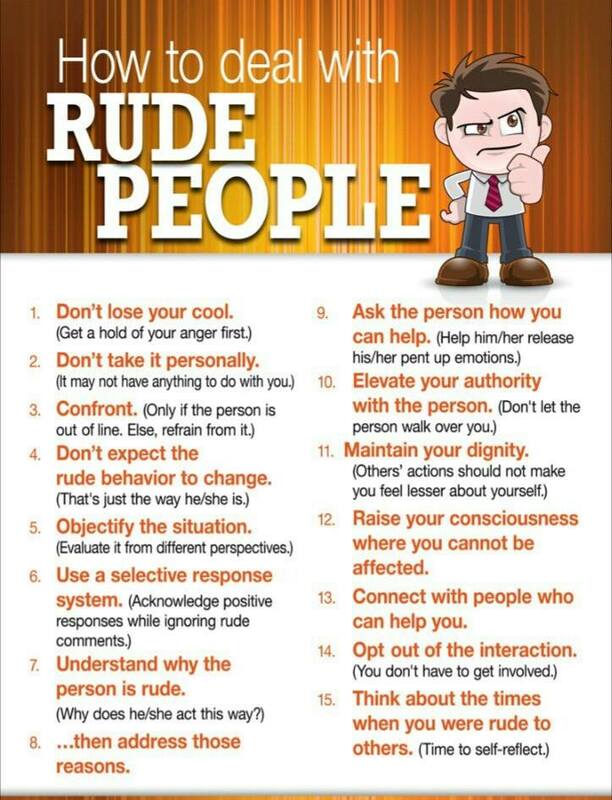 Don’t expect the rude behavior to change.